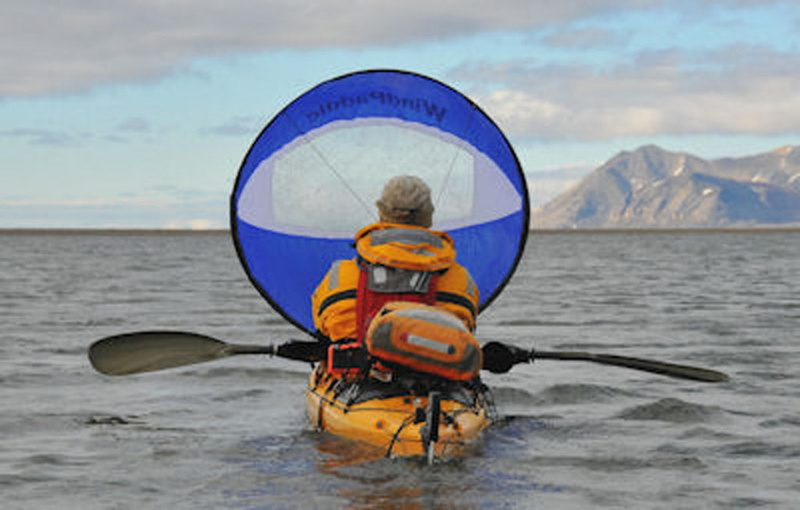 The WindPaddle Scout sail is our "entry-level" sail intended for the recreational solo kayak paddler. The Scout is the same size sail as our popular Adventure sail, offering a sail intended for 4-15 knot wind conditions. Built for the casual or recreational paddler in mind, the “Scout” is the lightest, most affordable and easiest to use sail currently on the market. We built this sail with a soft batten that holds sail shape, yet is pliable enough that it almost coils/folds itself!. For an entry level sail that will pull you quickly downwind yet easy enough for kids 8-80 to handle, the “Scout” is the sail to own. We developed the WindPaddle to quickly and easily connect to the deck of any boat. The simple to use clips on the mounting harness make this possible. Connect to your boat or or switch between boats in seconds. If your boat has anything that can be clipped to - including deck lines, cleats, bungees, pad eyes, fairleads, thwarts, handholds on the gunwale or bench seat - you can attach your WindPaddle to it!